KPI stands for key performance index. It allows businesses to track performance of employee, project, product, service level, etc. KPI dashboard gives users to quick view of the health of business and allows managers to make better decisions based on the KPIs defined and the presented data-set and not based on gut-feelings. When you see, these numbers or charts visualising these numbers, you get a better sense of how/where “things” are going (interpretation can be as simple as – are we growing or sinking). Once you know the trend, numbers based on facts, yo are in a position to take corrective actions. You will not be able to apply any meaningful and useful strategy unless you know what’s really going on. This is exactly why KPI dashboard are so much popular among executive management and decision makers in all businesses. Microsoft Excel for KPI dashboard, really? Earlier businesses used to heavily rely on Microsoft Excel to gather data and crunch data from one sheet to another. It has limitation in terms of visualising data on large scale as well as capturing information on a real-time basis. You end up spending more time in playing with Excel than actually making sense of the results or dashboard. So there is life beyond Microsoft Excel and you better get it ASAP. Like in any business, executive management and project management professionals need to know how projects are doing, whether things are on right track or not, how bad is that, can it be corrected, where it needs to be corrected – by more budget, more resources, asking for more timeline, accepting risk, etc? We are talking about project management KPIs. The answer to these questions can be easily derived if you have all relevant information gathered and presented in one place. 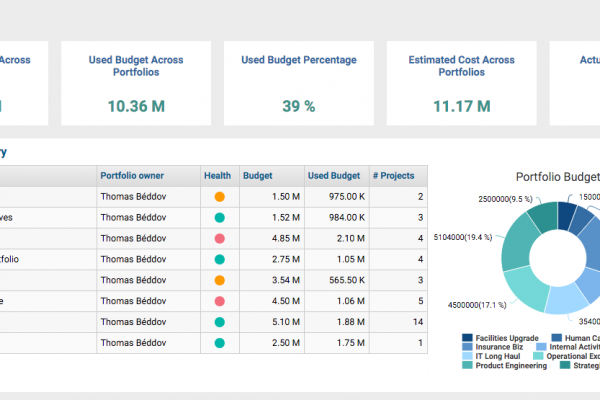 The holistic view of how projects are performing is in your project KPI dashboard or it can be portfolio KPIs dashboard. There are tools which can provide you out of the box KPI dashboard, whereas some other tools will allow you to export the data which can be visualised using third party tools. Likewise, there are third-party tools which enable you to visualise your project KPI dashboard if you have dataset ready with you. We have compiled a list of tools which give you out of the box KPI dashboard or you can integrate/import/export data to visualise those in third part tools. Let’s look at the list of project KPI dashboard software. ZilicusPM provides you project KPI dashboards to effectively track performance of projects, portfolios as well as project team members. You can define project KPIs in terms of financial KPIs, health KPIs, schedule KPIs, risk KPIs such as portfolio budget, project budget, project cost, billing, portfolio milestones, portfolio health, project health, project earned value, portfolio issues, risks, changes and so on.. Drill down from portfolio, project dashboard to specific bottleneck in project schedule, issues, risks, changes, meetings, etc. 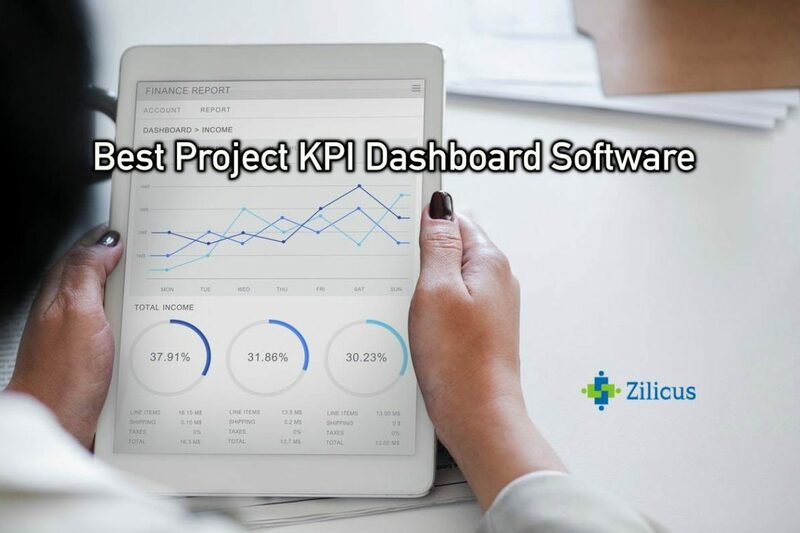 ZilicusPM provides comprehensive project portfolio management capabilities along with project KPI dashboard, reports. 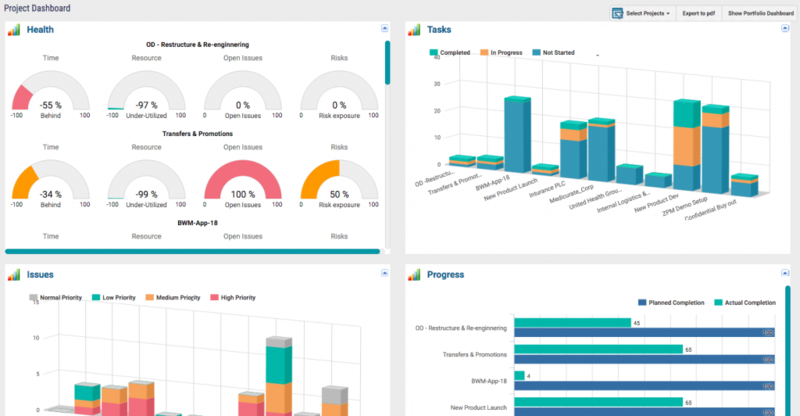 Hence you just have to use one integrated tool instead of using multiple tools to manage project financial, tracking time, tracking employee availability, project scheduling, issue management, risk mitigation, scope change management and tracking all these things using project KPIs dashboard or reports. 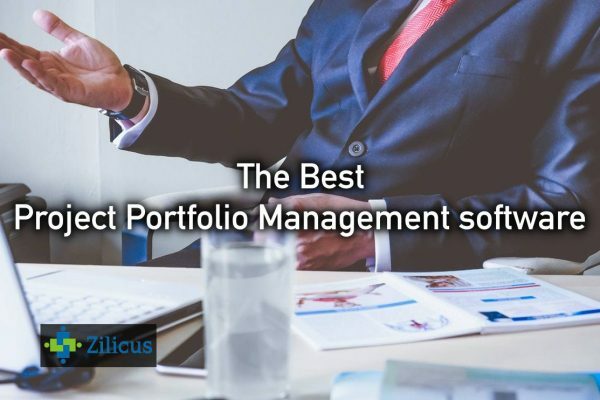 Thus using one central tool, managers can clearly track health & status of portfolio of projects and team members can remain top of their things & clearly know the things they need work on. Looking for visualising all your business data-set not just project management, like sales data, employee -organisation information, customer interaction – support emails/calls, etc? Tableau can be your answer. 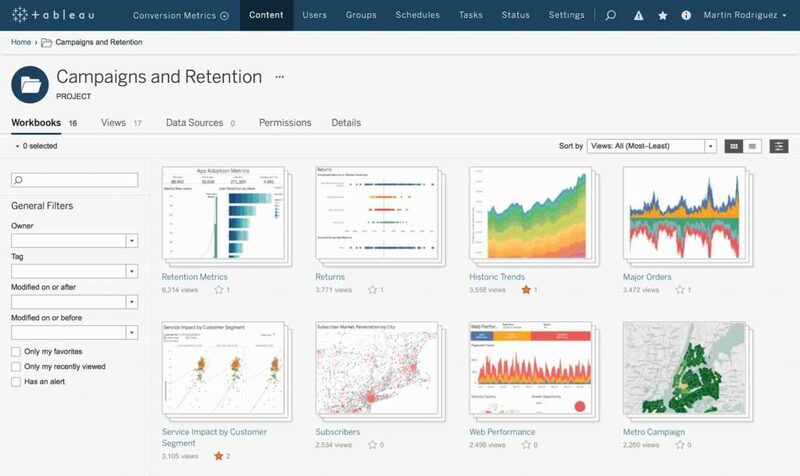 Tableau is very good for enterprise companies as its software tool allows them to create a powerful data visualisation. How Does Tableua Help You? Tableau offers multiple licensing options. There is also viewer license (subscription) available at $12 per user per month but it requires minimum of 100 viewers. One can create and publish KPI dashboard, share those without any need of coding skills. 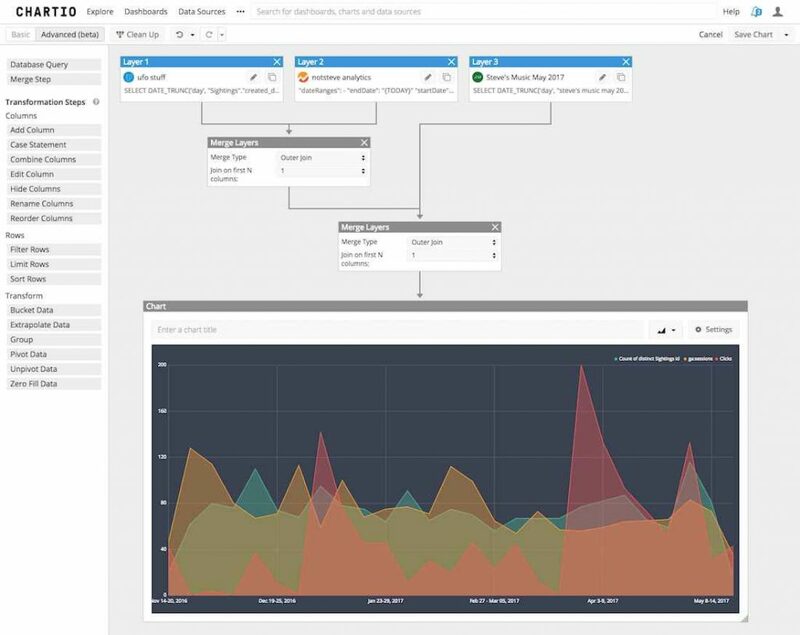 Tableau is a amazing tool for all those businesses who don’t have or want to invest in the infrastructure to create their own BI server installations to visualise, analyse data. Klipfolio is an online dashboard software to help you create powerful real-time KPI dashboards for your own business or your clients. How Does KlipFolio Help You? Klipfolio is a cloud based online software to create as well as share business dashboards using web browsers, TV monitors and smartphones. 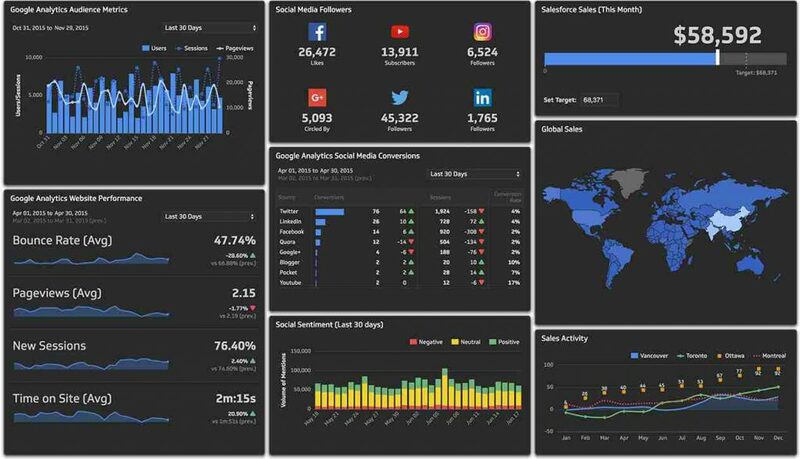 The dashboard created using KlipFolio can give you visibility of your most important data, presenting trends, story being unfold to make decision based on data-insights. SimpleKPI offers KPI Software for companies of all sizes to track Key Performance Indicators and metrics. It is easy to use visualisation tool with dashboards capabilities. How Does SimpleKPI Help You? Companies be it small project teams or large businesses who need to track KPIs can use SimpleKPI to create, manage and analyse key business performance indicators. You can create, monitor, and manage KPI dashboard and reports for your company. It gives you simple user interface to source data, create KPI dashboard. Rather than investing heavily in legacy DW, BI software, you can get started easily using SimpleKPI and at fraction of the cost of BI, DW tools. Chartio is business intelligence tool that anyone can use to visualise key performance indicators as well as many other dataset . 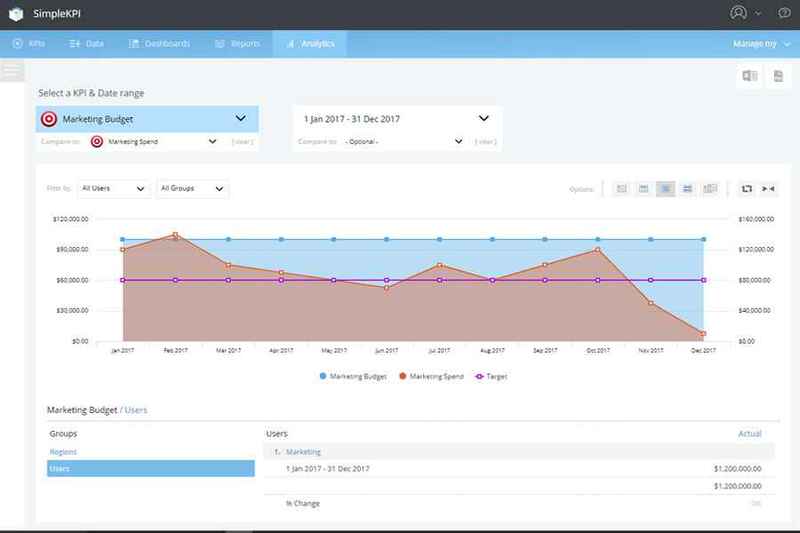 Chartio enables teams in SMBs to speed up as well as scale up reporting and visualising data through KPI dashboards. Your marketing, customer data may reside in on-premise or cloud based CRM software like Salesforce; you can source such data to Chartio. With the data-sourcing and integration Chartio offers, you can get multiple systems to talk to each other to pull any piece of data and visualise it for making right decisions. The process to get data together is seamless and gives you precise view using KPIs dashboard. Smartsheet is excellent tool to manage and automate collaborative work and it also provides features to create project KPI dashboard for premium users. 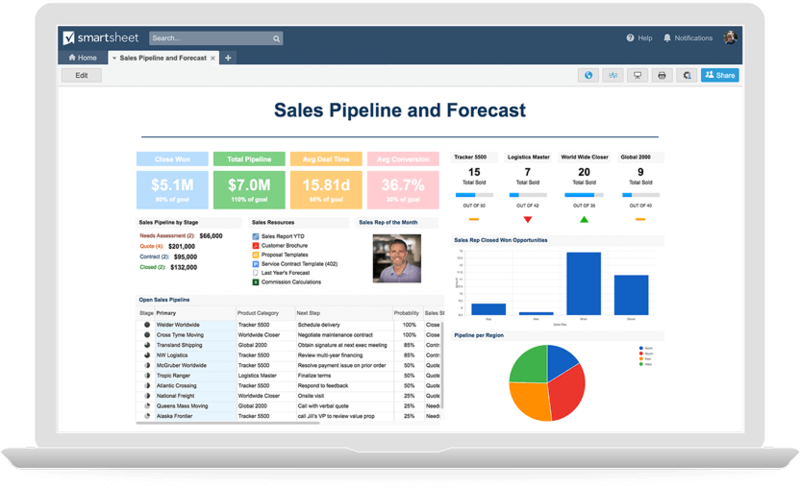 With a spreadsheet-like interface, Smartsheet to help project teams, sales team, finance team track important KPIs visually. Remember, it is essentially online spreadsheet designed for team collaboration and reporting. Be watchful of performance as your data grows and as your number of sheets grow. You can create or edit a Smartsheet Dashboard or Portal. 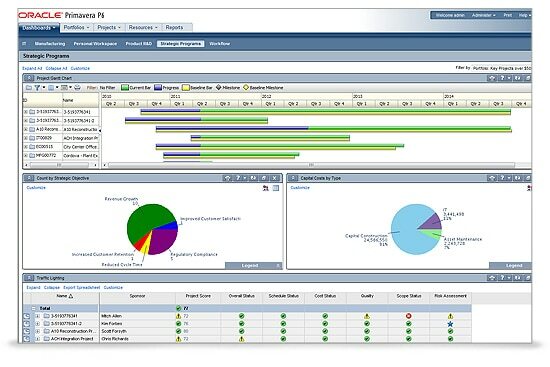 Using Smartsheet dashboard or portal you can visualise, summarise, as well as share important data-set regarding your project status or sales numbers or cost information with key performance indicators (KPIs)..
Oracle Primavera is one of the earliest player in project management software market. It primarily used for construction and engineering projects. It provides standard project KPI dashboard and reporting capabilities. Oracle Primavera combines document sharing, cost management, scheduling and resource tracking, budgeting as well as business process management. Though the user interface looks age old, it is configurable. It is one of the most popular but highly expensive legacy system used in many industries such as Aerospace and Defence, Engineering and Oil and Gas, Construction, Financial Services, Healthcare, Transportation and Utilities and many other. 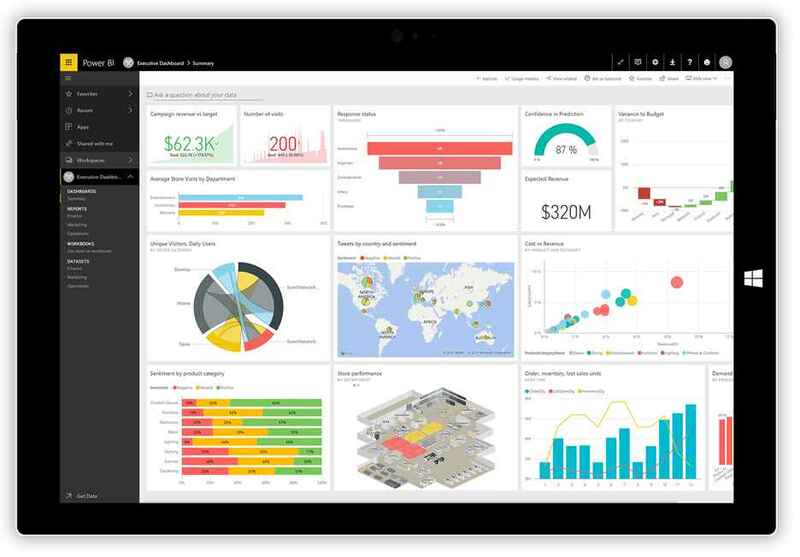 Microsoft Power BI is a business analytics software. It provides interactive visualisations of data along with use-by-yourself business intelligence features. End users can create reports and dashboards by themselves without any need of knowing programming skills. Integration with many online application services like Google Analytics, Salesforce, Mailchimp, etc. Microsoft Power BI is offered in multiple setup configuration such as Power BI Desktop, Power BI service, Power BI mobile, Report Server, etc. It is simple and fast to get started, you can import data from Excel or database or online services, thereby easily connect to your data sources, visualise KPIs data in dashboard and you can also share it with anyone or everyone you want.